(News). Documents and images related to the life of President Ho Chi Minh and his revolutionary activities in France are on display at an exhibition in the French capital city of Paris. 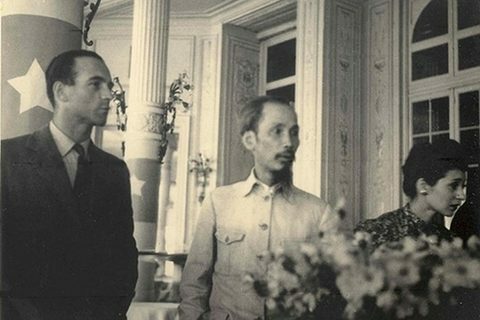 A photo of President Ho Chi Minh when he paid a visit to France in 1946 displayed at the exhibition. It will continue to use the artifacts to help Vietnamese living abroad understand about the former leader and the country’s revolution.